Spend your Mother-Daughter dates at Manna & Golde! One common fact about mothers is that they are hard to please. They will find ways to criticize anything—whether it’s food, clothing, etc. Despite this, we all want to make sure they have fun and the best way to do that is to spend time with them! Manna & Golde is a restaurant-café easily located along Kamuning Road. Unlike cafés that have rustic décor, Manna & Golde stuck with a pastel-themed design. As you walk through the glass door, you’ll see a coffee bar, ready to make the coffee before your very eyes. To the right, you’ll see a long table stocked with plugs. And, for all you crammers out there, they also have Fiber Optic wifi. This café is a students’ haven, especially during exam week. For mom and the rest of the family, couches and chairs are ready for you to sit on. Spending the day with a loved one should be paired with Manna & Golde’s classic Chicken Noodle Soup. It honestly tastes like a mother’s warm hug. Their Tropical Aloha Burger is unlike any other. The pineapple gives the patty that sweet flavor and the beef isn’t too salty nor is it overpowering. With French fries at its side, you’ll have a balanced variety of flavors. Our titas are always looking for something quick, easy, and different to eat. Nasi Lemak Congee with Beef Tapa is a Malaysian dish with a Filipino touch. Best eaten during merienda together with their warm cappuccino. On top is some cute little coffee art to brighten your afternoon. Want some dessert? Why not try Manna & Golde’s own take of Leche Flan? While most would prefer a sweet-tasting Leche Flan, they made sure that sugar isn’t too overpowering. You’ll leave your plate totally clean! 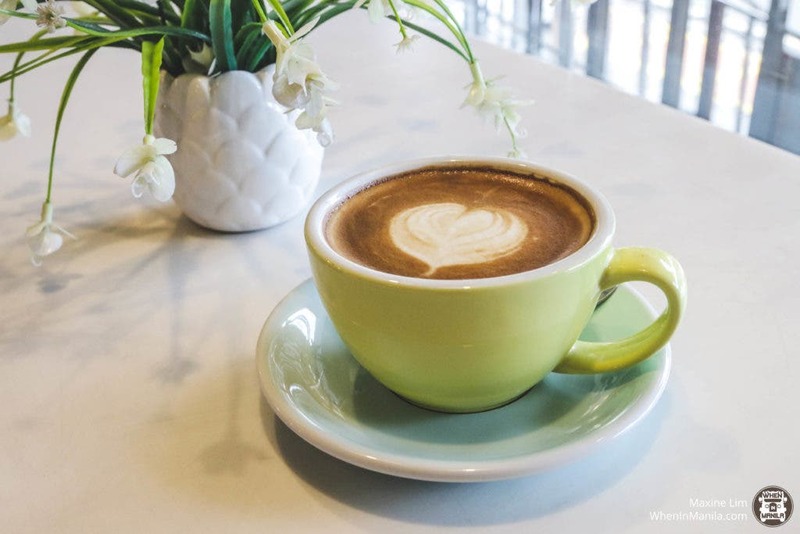 While it’s a great place to bond, you can also take on the opportunity to learn from their coffee workshops! G/F Apartment 20, Kamuning Rd. The Hunt for the Best Easter is at Marriott Manila!